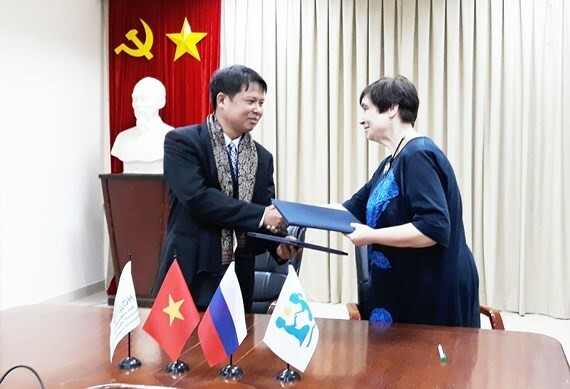 Vietnam’s Medicine University in Ho Chi Minh City and Russia’s Dmitry Rogachev Center yesterday signed a cooperation document to enhance new Immunotherapy use for cancer treatment. As per experts from National Research Center of Pediatric Hematology, Oncology and Immunology Dmitry Rogachev, the therapy will be costly if it is individual treatment; on the contrary, an immunotherapy clinical trials will cut cost for patients. Annually, over 2,000 new patients are admitted, and more than 200 hematopoietic stem cell transplantations and 2,000 surgeries are performed in the Center. This time, Russian expert will introduce to Vietnam new immunotherapies of transplantation and other updated therapies from the world pediatric association. 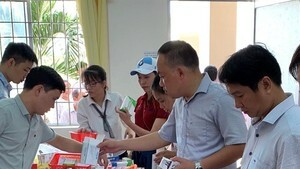 The cooperation is part of activities of Russia’s medicine sector on the occasion of APEC 2017 in Vietnam hoping to push up further moves in the field of medicine.